I love looking at PopSugar Must Have unboxings but had never subscribed-until now. It's a bit more of a gamble seeing as the products have such a great range-fashion, beauty, home, fitness, food- and everyone gets the same box. I decided to try it out after seeing a $10 off promo and a spoiler. I loved that item, so it made it less of a risk to get this March box. This was the spoiler that convinced me to order. I love scarfs and the pattern and colour of this one was gorgeous. It's even prettier in person and super soft. I know I am going to live in this. The bottle on this has a lovely opalescent sheen and seems like a very intriguing product. Being skincare obsessed at the moment, I would have love to try it. However, Jurlique sells in China, meaning their products are tested on animals. I do appreciate that their website is open about their policy. I have heard so much about Dogeared, so I am excited to now own a piece. It's a cute little gold-plated horseshoe charm on a tobacco silk string. After reading the description about it wearing off, I immediately thought of the fortune bracelets that I would get at the museum gift shop as a kid. You remember those right? Anyway, I am hoping I don't lose the charm when it 'wears' off. I might have switch it to gold chain. Also included was a 20% off discount code. I am pretty excited to try this. Since, I am trying to be more active and all...But I have really no idea how to use this thing. I mean, it even took me awhile to get the white stopper open to blow the thing up. Fortunately, the PopSugar blog has some suggestions. It is a small ball but feels durable. It's difficult to blow it up to it's full capacity as it lets out air like crazy when you have it open for even a second. I would rather not risk popping it, so a little squishy is okay by me. Food! Though they don't add much value to subscription boxes, I like having snacks delivered to me. 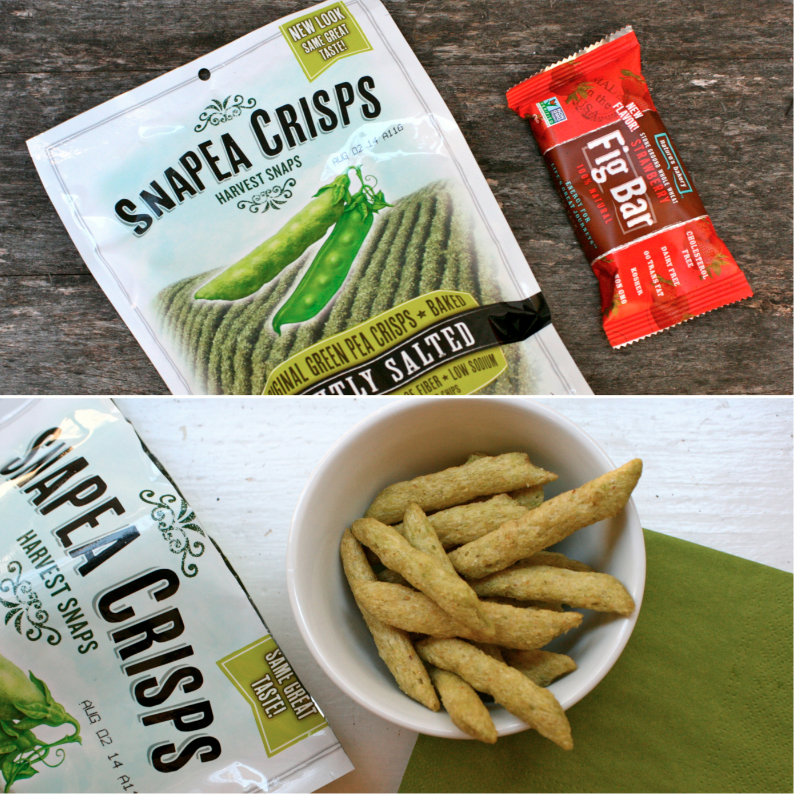 I have had Snapea Crisps before and am snacking on them while writing up this post. I wish I could have enough patience to use them as a 'salad topping', but they always end up being eaten before that happens. I like throwing bars into my purse for a rushed work snack, which is what I have planned for this Fig Bar. Well, I am pretty happy with this here box. It is fun to get a variety of products-it's like a friend has sent you a care package. I don't know how long I will stay subscribed, seeing as past boxes seem pretty hit or miss. There always is one or two items that I would love but that never seems to really justify the box. We will see! I am curious to see a spoiler or two for April. If you are interested in subscribing, they have a $10 promo code-APRIL10, and you can follow my link here. Are you subscribed to PopSugar MustHave? What did you think of this month's box?